Don't look for justice to roll down like a river (Amos 5:24) at the DOJ here in Washington. Yesterday, the department created for justice showed the drought of it in another display of poor judgment. Fueled by a radical agenda that heeds neither the law nor common sense, the Obama DOJ will stop at nothing to marginalize and silence the Americans it disagrees with -- a goal it shares with the disgraced Southern Poverty Law Center (SPLC). While the rest of the government is more cautious about its involvement with the so-called "civil rights" group, the DOJ continues to rush headlong into partnership with Richard Cohen's anti-Christian organization. Wednesday, at George Washington University, that alliance was on full display at a special address on domestic terrorism -- a topic the SPLC knows plenty about, having inspired the only case of it in D.C. since the law was adopted. But instead of using the SPLC as an example of the kind of extremism the agency is trying to stop, Assistant Attorney General John Carlin heaped praise on the group for helping to end the very violence it's been linked to in federal court. "While we continue to address this evolving international threat of violent extremists, we have not lost sight of the domestic terrorism threat posed by other violent extremists... Homegrown violent extremists can be motivated by any viewpoint on the full spectrum of hate," Carlin argued. Without batting an eye, Carlin applauded the Center for being "important voice on the wide range of extremist groups throughout this country." Is he serious? Were it not for an ordinary man showing extraordinary courage, an activist bent on massacring an office of innocent people might have succeeded in gunning down dozens of people at FRC. As prosecutors pointed out, this was no ordinary attack -- but an act spurred on by the SPLC's reckless "hate" labeling. Now we're supposed to believe that this same organization, the one that inspired Floyd Corkins to walk into our building and shoot Leo Johnson, is a legitimate ally in the fight against domestic terrorism? A trusted source in identifying the homegrown threats? 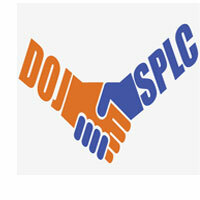 SPLC's own radicalism is so dangerous that the FBI, Defense Department, and U.S. Army have all backed away from using the group as a reliable source. Why? Because even they recognize that this reckless labeling was a few rounds away from ending the lives of dozens of Christians. For three years, we've called on the SPLC to stop targeting Christian conservative organizations and individuals. And despite the suffering and near casualties at FRC, SPLC refuses. Obviously, the DOJ sees no problem with putting countless Americans at risk simply for participating in the political process and advocating for public policy consistent with their orthodox Christian beliefs. 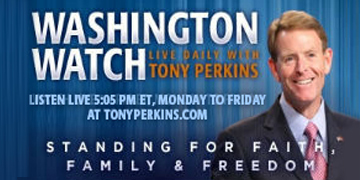 Sharing the stage with an organization that sparks the very hostility the government wants to end, Carlin insisted that "The Department of Justice's highest priority is combatting terrorism, both international and domestic, and other threats to our national security in order to protect the American public..." SPLC, he said, "will be particularly valuable on this front." Let that be a warning to every freedom-loving citizen in America: Your rights to speak, believe, and even think independently are about to be severely tested.